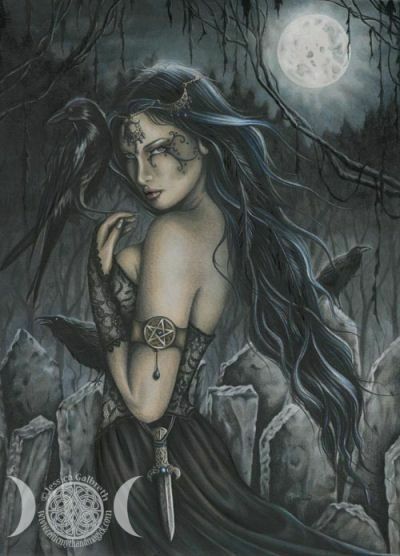 Report User "PLEASE READ OUR BLOG"
Interests: The Tuath(a) Dé Danann were the tribe of the Goddess, Danu, They are a race of supernaturally-gifted people in Irish mythology. 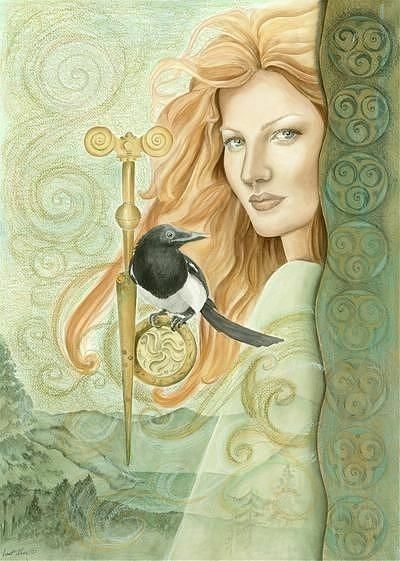 They are thought to represent the main deities of pre-Christian Gaelic Ireland..
Brighid, one of the triple goddesses of the Celtic pantheon, was the daughter of Dagda, All Father of the ancient Tuatha de Danann people. Born at sunrise with a flame beaming from her head, she was a sun goddess, as well as fire and water, and symbolized human potential. The 19 virgin Daughters of the Flame tended her shrine at Kildare. 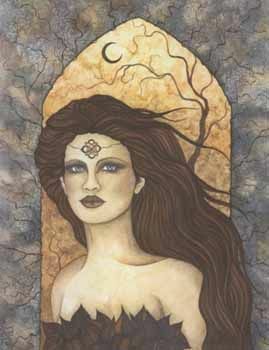 Brighid was so loved that she was sainted and her Festival of Imbolc changed to St. Brighids Day. ~Lugh~ 2nd High King of Ireland!! Lugh of the Long Arms (sometimes, “Long Hands” or even “Artful Hands”) was the Celtic sun god, who predates even the Tuatha Dé Danann. The name Lugh means “light” or “bright,” and both the spear and the epithet “long armed” are symbolic, representing the penetrating qualities of sunlight. Tuatha de Danann NL CL PLEASE READ OUR BLOG is in your extended network. 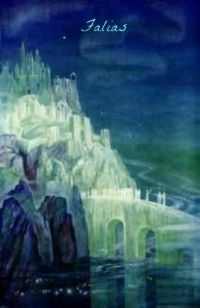 DANU & the Tuatha De Danann. Falias mythological land was one of four islands where the TUATHA DÉ DANANN were believed to have come from. It is said that the Tuatha De brought the LIA FAIL stone now at TARA with them from Falias. ~The following was written by our Merlin~ Although folklore maintains that five groups of invaders have populated Ireland, it is the penultimate of these, the Tuatha De Danann (the people of the Goddess Danu), with whom Irish myth and legend is most concerned. Having ruled the land for nine generations, this race of Gods were driven out by the Milesians from whom the present-day Irish are said to be descended. 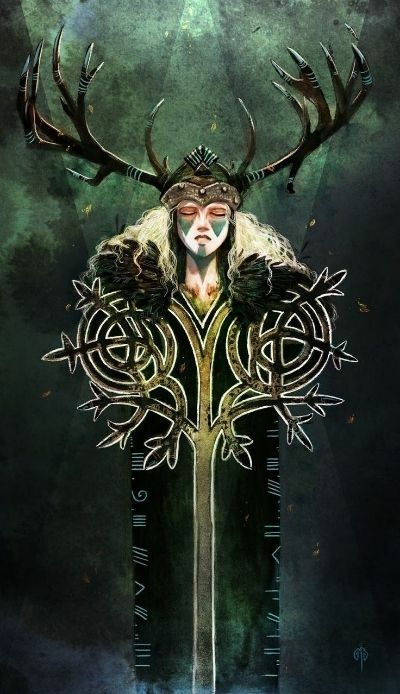 When the DeDanann Queen, Eriu, was fatally wounded in battle she made the Milesian leader, Amorgen, promise that the Island would bear her name forever and so it became Eiru, Eire or Eireann. (Ireland). 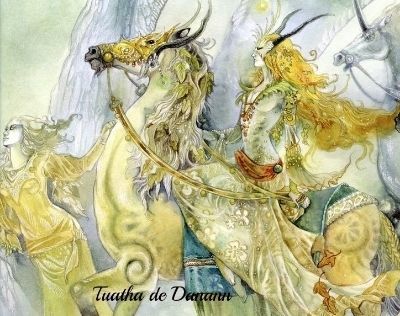 The Tuatha De Danann, however did not leave Ireland but used their magical powers to retreat into the mystical realm, where they dwelt beyond the Sidhes, the grassy mounds that speckle the landscape. They became the Ase Sidhe, or ‘People of the Hills’ - the fairies, whose existence is an integral part of the Irish psyche. Goddess of war and fertility. Her name, Morrígan (Morrigan), means the "Queen of Demons" or the "Phantom Queen". 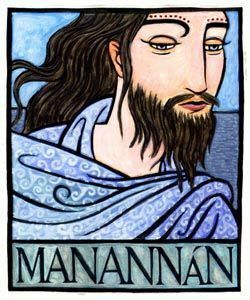 MANANNAN is the God of the Sea of the Irish Celts. 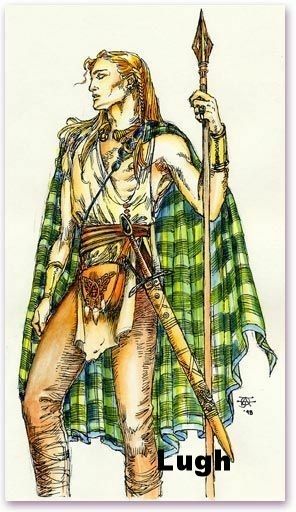 He was considered one of the Tuatha De Danann, or Children of the Goddess Danu, and was the equivalant of the Welsh sea-God Manawyddan. Tuatha de Danann NL CL PLEASE READ OUR BLOG has 28 friends.